Royal Philips today launched its “Buy Original” campaign in Nigeria Philips wants to put consumers in a position that they are confident that they are purchasing an original Philips product. 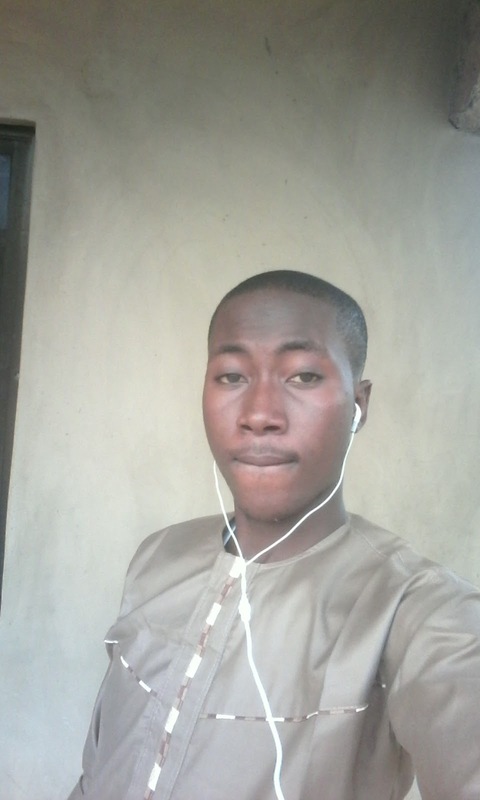 According to local media reports the Standards Organization of Nigeria stated that in 2011, about 85 percent of goods in circulation in Nigeria were substandard and counterfeit. 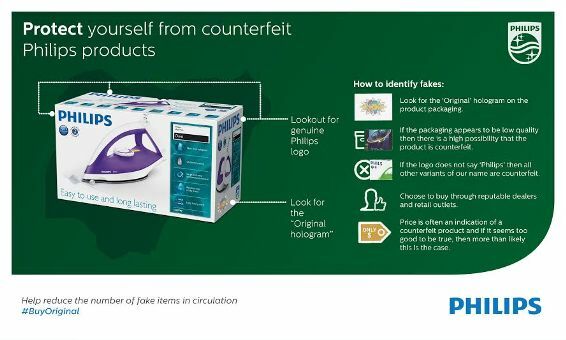 As of 2014, the level has gone down to 40 percent (in certain industries) which still implies that out of every 10 products, four are counterfeit..
· Make sure you find the unique code on the Security Label which will be on the box. 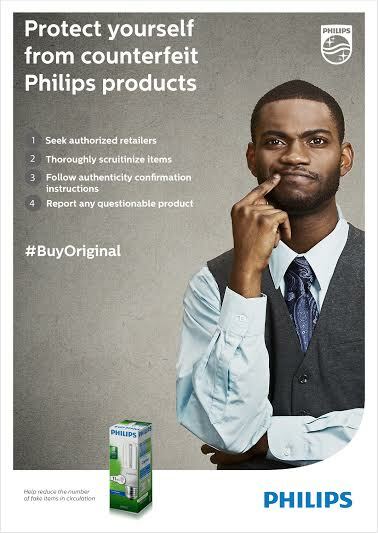 In Nigeria, you can SMS the 16-digit code to 20822 to receive verification of the product’s authenticity. 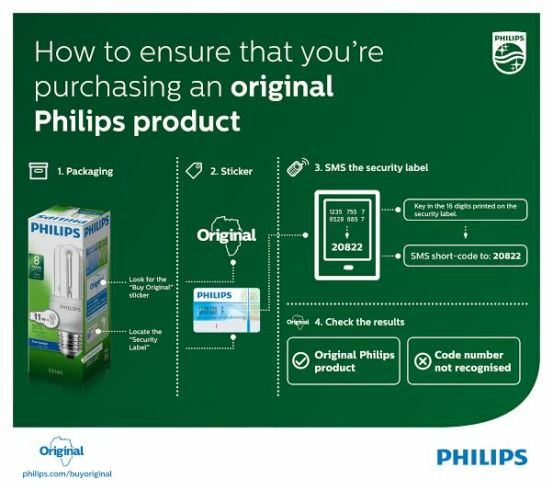 The label is fitted with digital anti-forgery technology and is fixed with secure die-cutting which ensures it’s completely destroyed when removed making it impossible to add to non-Philips products. 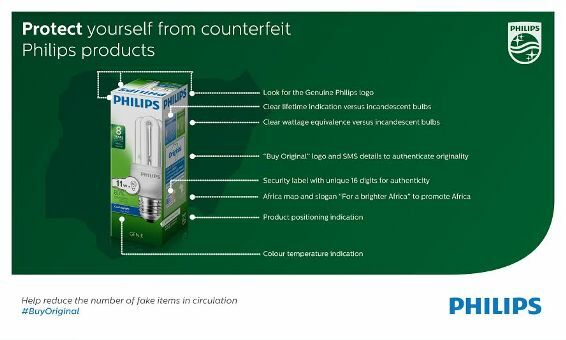 “It is imperative that consumers only buy Philips products from approved distributors and retailers because when you purchase a Philips original, you are buying safe, superior technology every time,” concludes Chioma Iwuchukwu-Nweke.